Since may 2015 something has been happening in Abstract Tinker, that something is called Abstract Pixels. The team at Abstract Pixels has been developing their own identity and direction: Small HTML 5 with big entertaining value. 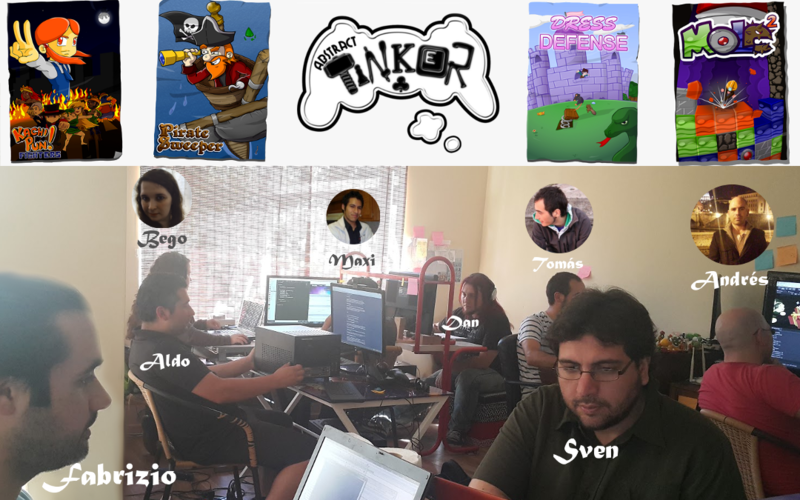 Sven, the inmortal at Abstract Tinker (Founder) has helped guide the team in some aspects, but Andrés, Fabrizio, Tomás, Dan and Begoña are the ones who are making the “pixels” come to live. The Abstract Tinker team is also doing some interactive projects, is in this regard that Aldo Manetti, our partner, is working with us to bring new augmented reality and virtual reality experiences to many new clients. If you want to know more about the Abstract Pixels teams click here.